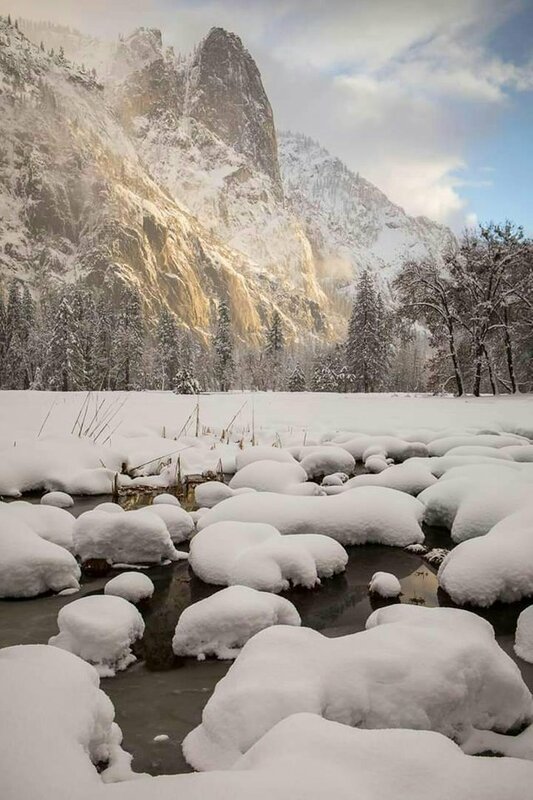 Deep snow in Yosemite Valley, California - Seth DeDoes PhotographysteemCreated with Sketch. Yosemite, with a pristine blanket of fresh snow, and golden hour light peeking through the clearing clouds. Can't ask for much more than that.